Our finest lawn turf is grown at our farm centre in Ayrshire. Perfect for an instant lawn, both domestic and commercial use. 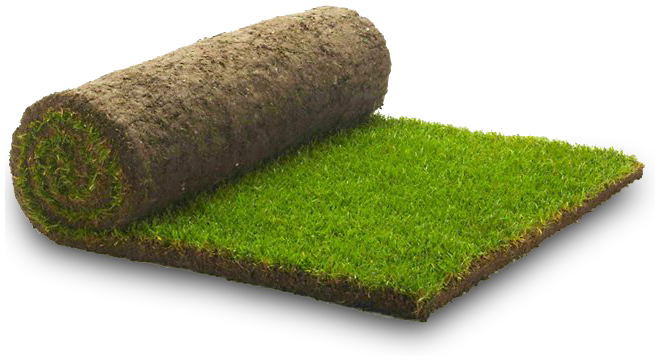 Our turf is sold in rolls by square metre. Our turf is grown using a specialist seed mixture which allows the turf to have a good look of colour and gives a high quality general purpose lawn. It has excellent appearance even on the day its laid, disease/wear resistance and easy to lay. Macpherson Lawn Turf provide a turf laying service for small and large areas. We have an expert landscaping team who have over 20 years experience. A pallet of turf would contain 50 square metres and would normally be delivered by means of a truck mounted forklift to the nearest point of access. You can find out more information about turf laying, maintenance and aftercare on our laying & maintenace page. High quality topsoil is essential for any garden or landscaping project. It is crucial to check whether or not the soil you currently have in your garden is satisfactory. We supply high quality top-soil for all round garden uses including preparation for turf, grass seeding and beds. 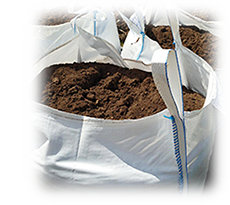 Our top soil is delivered in either in 1 ton bags or loose. Perfect for improving the appearance of your garden, forest bark is used for a variety of uses including weed supression in shrub beds, play areas and paths etc. It helps to protect the soil from frost and harsh weather conditions, suppressing weeds so your garden looks fabulous all-year round. Our forest bark is sold in bulk bags or delivered loose. Hard landscaping is basically the construction process which is used to transform a landscape by design and construction. We have the expertise to ensure we make the most out of your outdoor space. Garden drainage is a common problem throughout Scotland. If you have a soggy waterlogged lawn or garden that holds surface water then this can result in saturated mud. Ideally you want a lawn the kids can play on, without bringing saturated mud into the house. Macpherson Lawn Turf can fit an effective drainage network under your lawn or garden in order to take away any surface water that lies after heavy rain. We have many years of experience in rectifying badly designed gardens with poor drainage. We also provide a grass seeding service. This is best done between early autumn and mid-spring when the soil is warm, plenty moisture and the weather is neither too cold nor too hot. Good seed bed preparation is the key to establishing a successful lawn in your garden. We pay particular attention to clearing weeds and cultivating the surface to a fine tilth, ready for sowing. If you require any further information on our hard landscaping, drainage or seeding services then please contact us for more information.